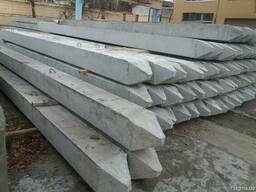 Torsion device is a moveable equipment for the installation of screw piles, combining economy, advanced technology and durability. 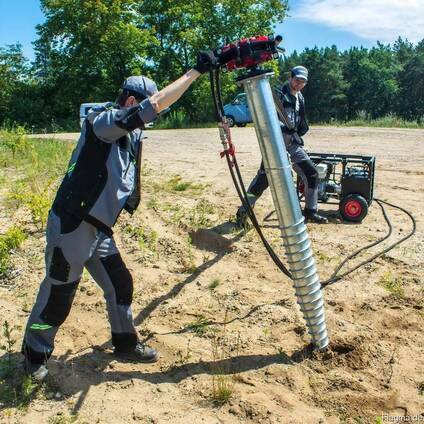 This device will help quickly, reliably, simply and qualitatively perform the installation of the foundation on screw piles with a diameter of 57-159 mm. Example: Installation of one screw pile with a diameter of 108 mm and a length of 2500 mm will take only 10 minutes of work, and only two workers will be required. 4. Reliability - consists only of reliable and proven components. 7. The ability to tighten the piles in places where it is not possible to work with large equipment or even manually; 8. No special knowledge and skills are required to work with this equipment. 10. Warranty - 12 months or 960 hours of operating hours.